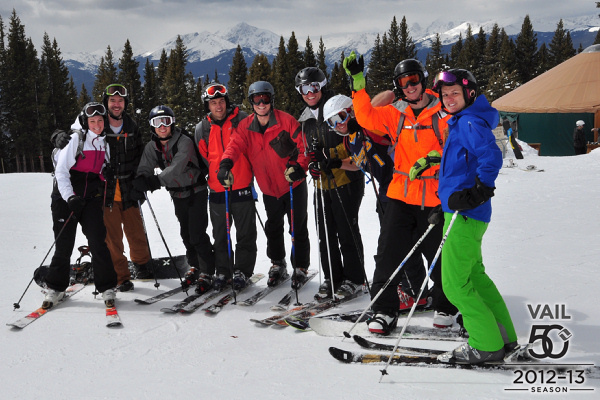 Although most of the group has graduated with PhDs or MSs, there's still a gathering of aerospace CU folks for the annual skiing and partying shenanigans. This year included a game of GNAR that was great, except that I got there a day late and about 40 GNAR points behind. I launched a comeback with on piste intensity and apres ski debauchery, but it wasn't enough to beak Jack. This year 18 people were in the house and it was great to see so many old friends: Scott, Casey, Laura, Nick, Jack, Maciej, Ben, Chad, Tiff, and Kate.